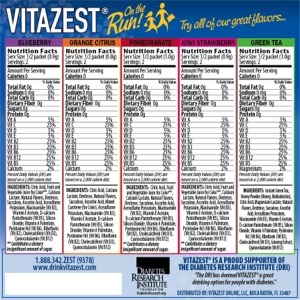 Drink Mix Packet orders come packaged in 3 different sizes: Small (30 Packets), Medium (50 Packets), and Large (75 Packets). Get better value by ordering larger package sizes. More affordable price! Get more for Less! DIRECTIONS: Just add contents of 1 packet to 16.9 - 20 oz of water, stir or shake well and enjoy! 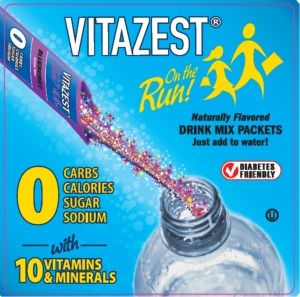 Copyright VitaZest Vitamin & Fruit Enriched Water Online Store. All Rights Reserved. eCommerce Software by 3dcart.